Below is a list of common questions. If you have a question that is not listed below, contact us at info@ecogenenergy.ca for a quick response. We are happy to help! What are some of the benefits of solar hot water? Residential solar hot water systems are mostly used as a pre-heat system to offset the primary fuel sources used for water heating or space heating in a customer’s home. Solar energy gained reduces the amount of money you would otherwise pay for your water heating bills. Other benefits of solar hot water systems include supporting tradepersons in your local economy and reducing your home’s environmental footprint. Any time you use solar energy to offset the amount of fossil fuels that are burned, you contribute to everyone’s health and welfare. 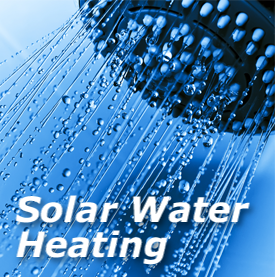 Solar hot water systems also increase the level of equity in your home. Is my home suitable for solar hot water? Your home’s suitability for incorporating an active solar hot water system depends on the following factors: Availability of a southerly-facing roof that is not unduly affected by shading caused by trees or neighboring buildings; Available space in your mechanical room to hold a solar hot water tank and control systems; Proximity between where your collectors are mounted on the roof and the plumbing “pipe run” to the utility room. 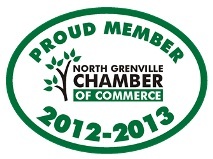 Your personal interest in taking a more active role in energy conservation and environmentally-minded purchases. How much of the water heating load can be met by a solar water heating system? Properly sized systems can produce up to 80% of a building’s hot water loads. A back-up water heating system is still required and in retrofit situations the existing water heater is used as the backup. Glycol based systems require a change in the anti-freeze every three to five years at an average cost of $100-$200 depending on the volume of the antifreeze required, usually 4 to 8 gallons. Drain-back water systems require little or no maintenance. What is the expected life of the system? Solar thermal collectors have no moving parts and should last as long as the copper piping in a home. Protection of the collector is assured in an indirect system since public water is not in the collector. As is the case with any water heaters with storage tanks, some care is needed when systems are installed in a building using well water to ensure that the water quality will not harm the storage tank. Additional anode rods can protect a storage tank for many years. Ideally, solar panels should be south-facing and free of shade, at an angle of between 20 and 50 degrees. Panels facing south-east or south-west will also operate efficiently. Rooftop panels are the most common, but they can also be mounted at ground level. You will need about 1 square metre per person. How will a solar panel feed in to my existing heating system? You need to have a conventional water heating system as well, such as a gas, oil or wood fired boiler, to top up the heat from the panels when necessary and provide hot water and space heating in the winter. You can add solar panels to most existing hot water systems, though you will usually have to add an additional ‘pre-heat’ water tank or change your existing one to a twin coil cylinder. You may need a pump to circulate the water, and some regulating equipment to prevent overheating. What is the “payback” on a solar hot water system? The term “payback” is a misconception that shows a false value towards an income generating device. Electric and gas water heaters do not have a payback! When you purchase a more efficient refrigerator, the decision to buy comes not from how long the savings generated will pay you back for your initial investment, but it comes from getting better service for a lower operating cost with a better rate of return. Solar water heating systems do just that. They provide quality hot water at a lower cost than heating with electricity, oil or gas with more equity value in your home. Solar collectors are typically designed to last as long as your home with little or no maintenance. These systems often give a 14% to 20% per year non-taxable rate of return on your money – even for a two person household. It is important to remember that hot water is a constant daily expense; other large household appliances, like air conditioners and heaters, are seasonal expenses. Are their different types of solar hot water collectors? There are several types. Flat plates and evacuated tubes are the two most common. Do solar systems work on cloudy days? Yes! Depending on the thickness of the cloud cover which limits the intensity of the sun the system will still produce heated water. Can I only heat water with solar heat or can I heat spaces as well? The solar system can be used for a combination of hot water production and backup heating. 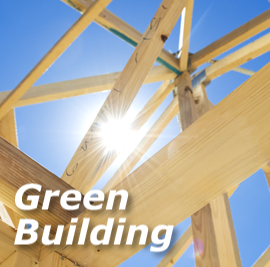 Particularly in new buildings with high insulation values, the trend is toward combining both uses. In the summer, the solar system can provide the entire amount of hot water required, and in spring and fall the surplus of hot water can be used to support the heating system. Can solar thermal systems be used for space heating? 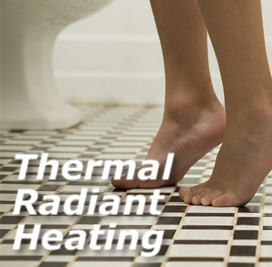 Yes, usually we combine the solar system with a large thermal storage and integrate with infloor radiant heating. A greater area of solar collector is normally required. What is the difference between solar PV and solar thermal? 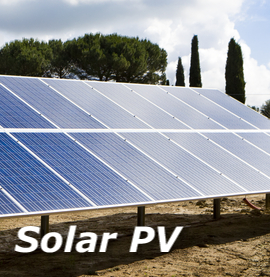 Solar PV is a technology that uses the power of the sun to create electricity. Solar thermal is a technology that uses the power of the sun to heat water. Unlike solar PV, solar thermal systems only require daylight to operate and properly installed system works all year round – even when it’s cloudy. In fact, the system will provide you with hot water for approx 70-80% of the year (Reduced amount of daylight hours during the winter reduces production of heat energy). What does on-grid or grid-tie and off-grid mean when referring to a solar photovoltaic system? An on-grid or grid-tied solar photovoltaic system is when your solar photovoltaic system is connected to a utility source or electrical service provider. You pay for the amount of electricity you consume to the utility provider. Grid-tie solar systems use inverters that meet the requirements of the utility and must not emit noise that can interfere with electrical devices such as reception for television and must retain acceptable levels of harmonic distortion for quality of voltage and current output waveforms. On-grid solar systems are advantageous as the electricity is utilized by the owner during the day and any surplus is supplied to the grid; some utilities pay for this surplus electricity at a higher rate known as a Feed In Tariff (FIT). During the evenings, when solar electricity is not generated, electricity is drawn from the grid avoiding the need for costly battery banks. An off-grid or standalone photovoltaic system is when your solar photovoltaic system is not connected to the utility grid and you are producing your own electricity via solar, wind, microhydro, generator, etc. These systems will generally have a battery bank in order to store the electricity for use when needed.